Meanwhile, the latest non-virtual Minimoog, appearing in public for the first time in its rack mountable RME version attracted a large crowd to Moog's own small booth. 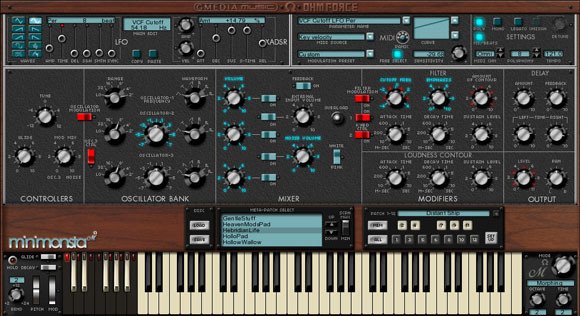 The RME unfortunately omits the touchpad found on the Minimoog Voyager. I prefer the approach taken by Roland's new V-Synth XT rack mount synth, also new at NAMM, where the built-in touchscreen can be switched to a touchpad for live performance.